Article: How do users of the Galapogos Marine Reserve imagine it? Maria Jose Barragan Paladines, TBTI Senior Research Fellow's article 'How do users of the Galapogos Marine Reserve imagine it?' has recently been published in the Galapagos Report 2013-2014. Her study discusses the images held by the users of Galapogos Marine Reserve by outlining the most common images of the reserve, exploring how they were formed, and describing how they influence governance of the reserve. Download the file to read the full article. The Galapagos Reports have been published since 1997 and are distributed among decision-makers, opinion leaders, local residents, the Ecuadorian public, public institutions in Galapagos, and the international community. Its aim is to stimulate public debate and explore in-depth the complex and dynamic socioecological system of Galapagos. 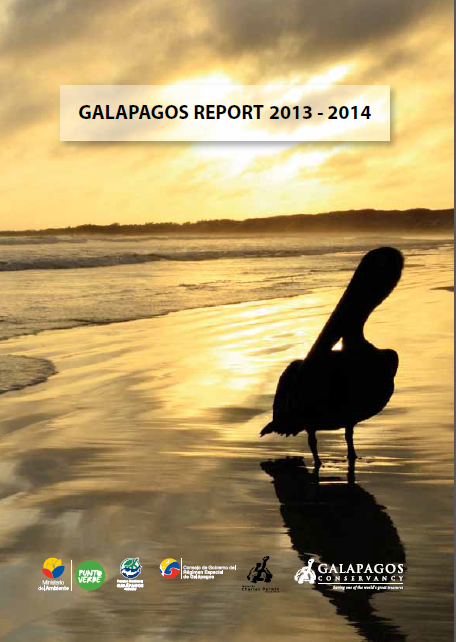 The full Galapagos Report 2013-2014 is available for download.